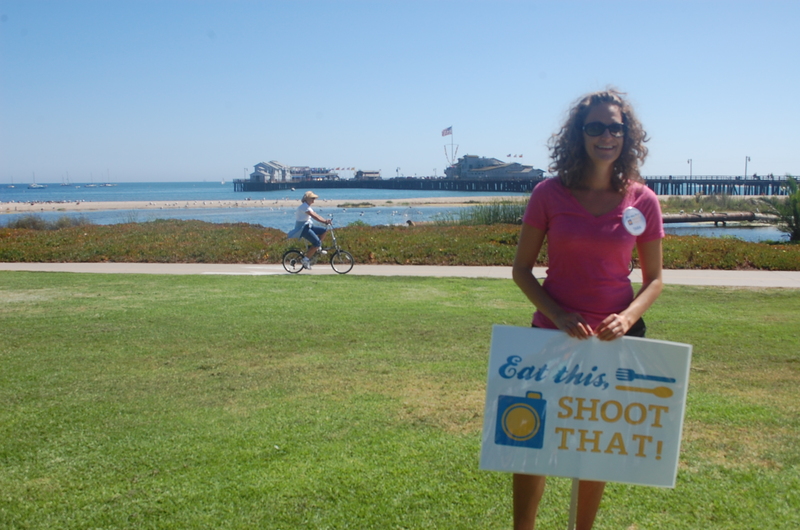 A great way to see Santa Barbara is taking an Eat this, Shoot That tour. It begins at the park where the Cabrillo Art Walk sets up every Sunday. We found Tara Jones and Natalie Morris next to a large picnic blanket spread on the grass. Jones started her tour company in June 2012. Both Jones and Morris are graduates from Brooks Institute and experts at photography. While walking through some interesting Santa Barbara streets and tasting food and wine from some popular venues, we shot some great photos. Tours are on Fri. and Sat. from 2 p.m. to 4 p.m. or larger groups can reserve an afternoon. It’s an eat, drink, shoot, and exercise tour all-in-one. After nibbling on calamari with a chipotle dipping sauce from the Fish House, we walked out to the Sterns Wharf. Jones told us to stop and shoot at one optimal photo spot. Natalie showed us how to get out of our automatic focus setting and drop our f-stops and shutter speeds. One stop that Natalie helped me take an artistic photo of a row of flags near the Ty Warner aquarium. 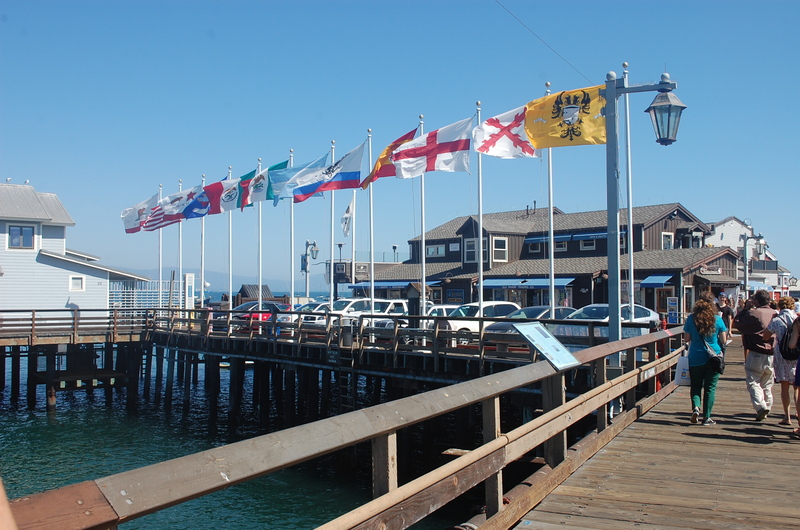 “These colorful flags represent the different regimes that have dominated Santa Barbara,” shared Jones. The restaurant offers a Happy Hour Mon. through Fri. from 4 to 6 p.m. with oyster shooters with vodka for $1.95 and an 8” shrimp and lobster pizza for $7.95. It’s been on the wharf for over 30 years. 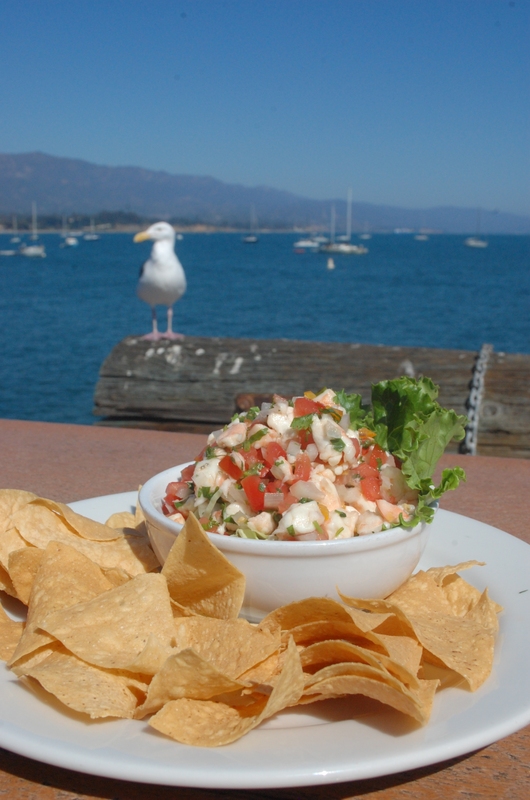 Some hungry seagulls eyed us the entire time we sat outside taking photos and eating ceviche with tortilla chips. A highlight of the experience was watching two dolphins surface nearby. Next stop, Santa Barbara’s funk zone for a Caesar salad flatbread and glass of water at Union Ale. 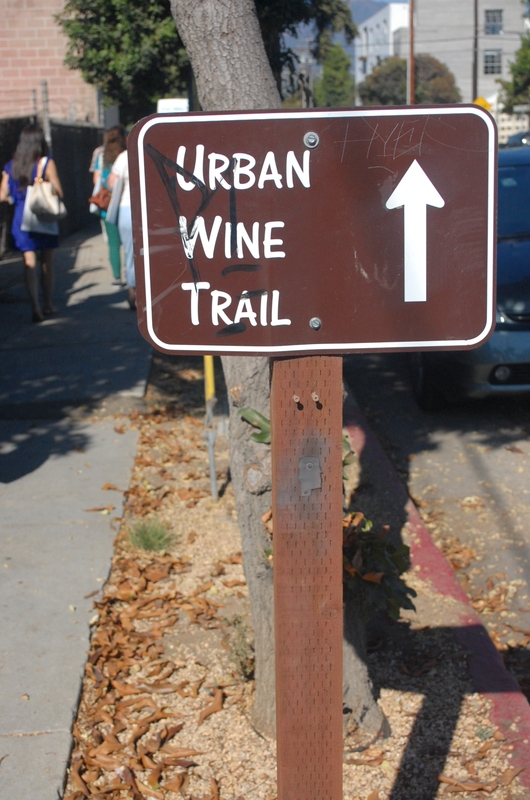 Then we caught up with the Urban Wine Trail and walked into Oreana Winery for a tasting. Eat This, Shoot That! Ends at the Urban Wine Trail. With 15 other local wineries to peek into for tastings and artistic photos, it’s an ideal ending to a stimulating two-hour tour. The tour is $99 per person or $149 a couple. Grab a friend and learn more about some beautiful spots along the “American Riviera.” For additional information or to sign up, go to www.eatthisshootthat.com or call (805)637-0760.